If I can take pride in one thing about this blog, it's my documentation of the ability of comic book creators to find inspiration in the objects lying around their drawing tables, from Ramen to calculators. And also in showing how various characters are actually based on beer. And in my math skills, because that's more than one thing, despite my opening sentence. I blame all the alcohol and Ramen on my desk. Clones, twins, or just two guys who have the same tailor? I report, you decide! Yikes. That’s kinda strange. 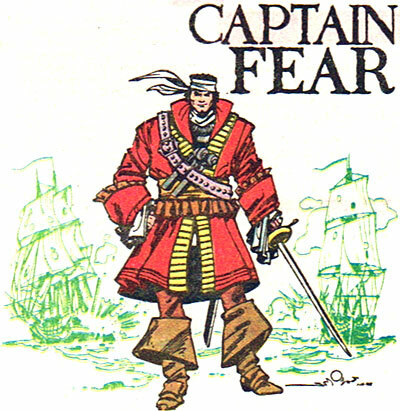 And even if I were to be a pirate superhero/villain, I’d come up with a better name that “Captain Fear”.That’s part of why I like comic books: The vast majority of them are just ridiculous to the point of moronic. Just right for my maturity level!